Captain James Cook’s crew first sighted the Hawaiian Islands in the dawn hours of January 18, 1778. His two ships, the HMS Resolution and the HMS Discovery, were kept at bay by the weather until the next day when they approached Kauaʻi’s southeast coast. Cook sailed along the coast searching for a suitable anchorage. His two ships remained offshore, but a few Hawaiians were allowed to come on board on the morning of January 20, before Cook continued on in search of a safe harbor. 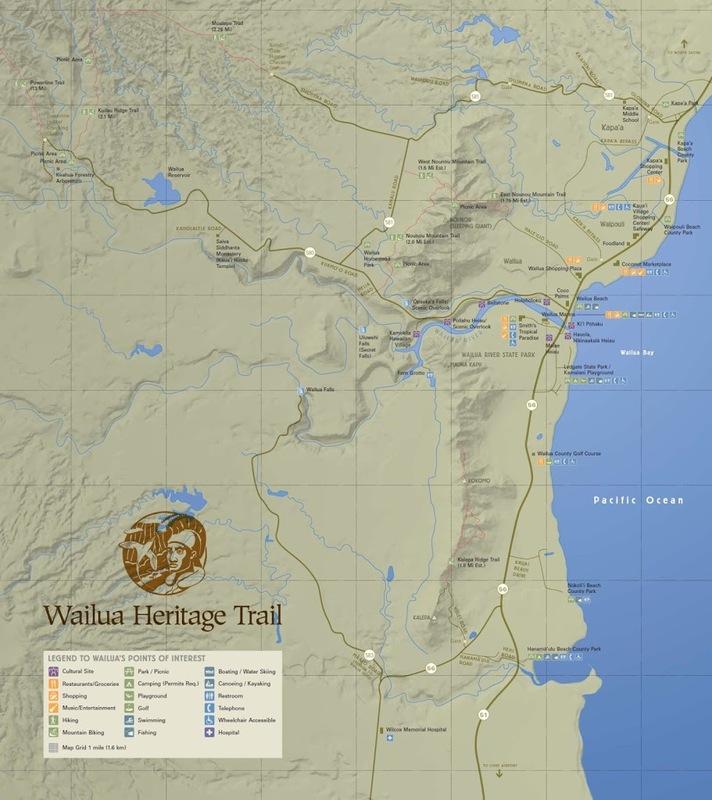 On the afternoon of January 20, 1778, Cook anchored his ships near the mouth of the Waimea River on Kauaʻi’s southwestern shore. Of the four, Kamakahelei was the only woman. Surgeon Ellis, who was part of Cook’s crew, stated in 1779 that Kamakahelei “was short and lusty, about 40 years of age, and very plain with respect to person.” That would make Kamakahelei’s birth around 1739. Kamakahelei succeeded Peleioholani as the Aliʻi of Kauaʻi. 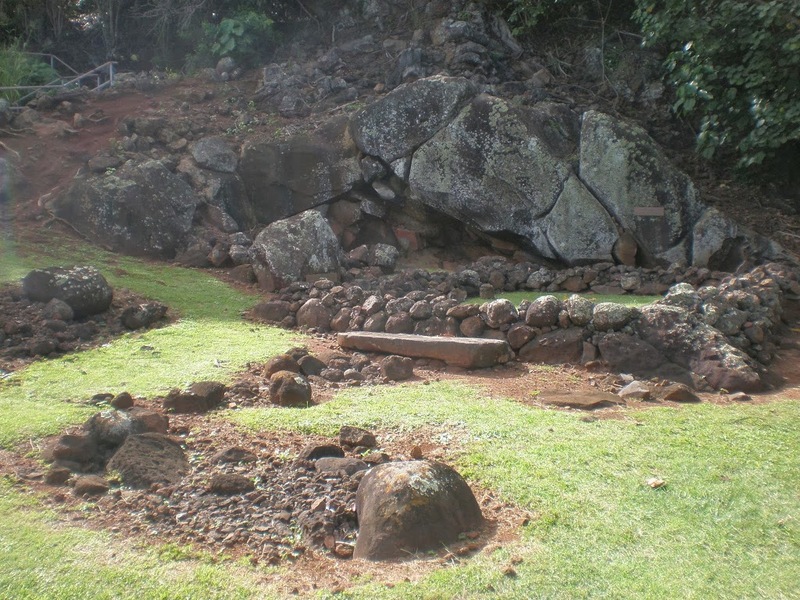 Kamakahelei was believed to possess a secret, most powerful and sacred prayer, greatly feared throughout Hawai‘i, called the “Aneekapuahi,” which could cause an enemy’s immediate incineration – it was feared throughout the Islands. Kamakahelei’s first husband was Kaneoneo (Peleʻioholani’s grandson.) With Kaneoneo, Kamakahelei had two daughters, one of whom, Kapuaʻamohu, became one of the wives of Kaumualiʻi and grandmother of Queen Kapiʻolani. Her husband’s father, Kūmahana, was desposed by the ʻEwa chiefs who replaced him with Kahahana, who would become the last king of Oʻahu. Kaneoneo died during the rebellion on Oʻahu against Kahekili about 1785-6. 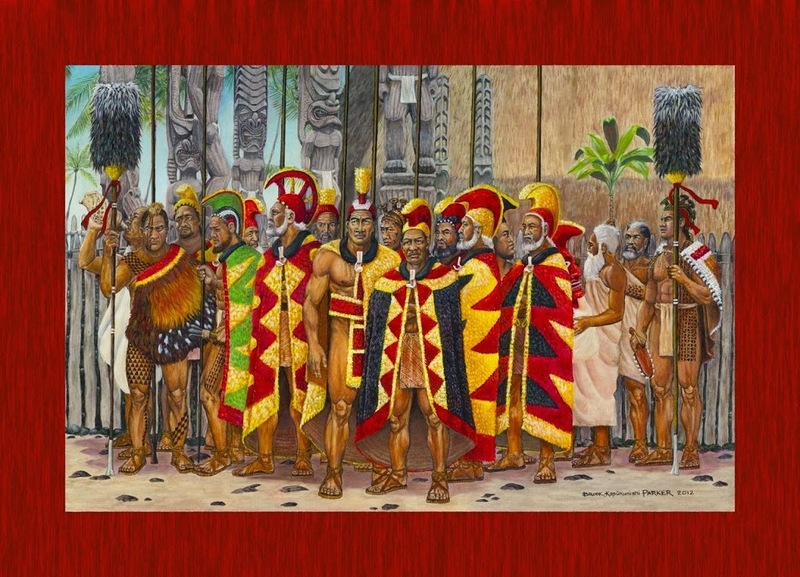 In the face of the threat of a further invasion, in 1810, at Pākākā on Oʻahu, negotiations between King Kaumuali‘i and Kamehameha I took place and Kaumualiʻi yielded to Kamehameha. The agreement marked the end of war and thoughts of war across the islands. 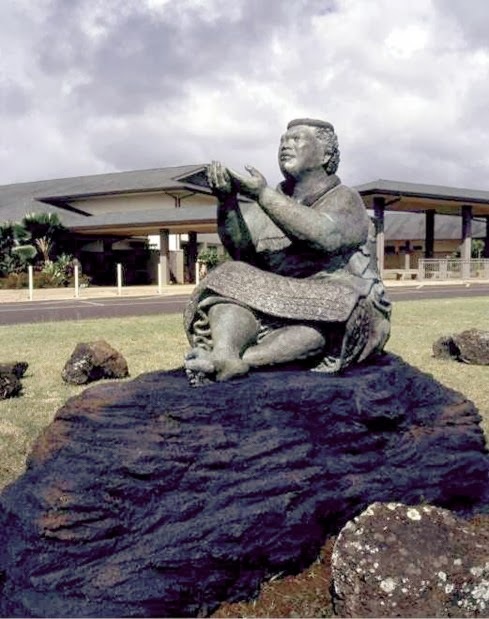 The image shows a statue of Kamakahelei at a Middle School named after her on Kauaʻi. In addition, I have added other related images in a folder of like name in the Photos section on my Facebook and Google+ pages.